The real estate market in Jacksonville is an extremely competitive landscape. Being able to distinguish yourself from the competition takes a highly targeted and cohesive marketing strategy. This is where 4 Elements Agency can help. We are a full service real estate marketing agency in Jacksonville FL. We have worked with Real Estate Brokers, Agents, Developers and everyone in between. Whether you are looking for a new custom website, seo, print marketing, social media management or brand creation we can help you stand out from the competition. We want to learn about you, your personality. What sets you apart from others in your industry? What is your competitive advantage? Who are you trying to capture? Who is your ideal customer? Do you have any brand recognition in the marketplace? Do you need to build your brand? What are your long-term goals? What are you trying to accomplish? Once your new custom website is built the next step is for people to find it. Over the past 4 years online searches for real estate related queries has increased by 253%. With this increase in online traffic, there is a huge potential to capture market share with the right online strategy. It has become vital for those in the real estate industry to utilize SEO to increase their placement online, and target those individuals who are looking for your services on the search engines. The difference between the most successful real estate agents and developers, versus those who are not comes down to their online placement. So you may be asking yourself what is SEO? SEO is the process by which a website is “optimized” to better its placement on the search engines for targeted keywords. The reason it is a process is because the search engines like Google, Yahoo and Bing set the rules for how results show on their search engine results page (SERP) and these rules are constantly being refined and changed. The search engines end result is to provide a consumer with the best possible user experience. This is defined by matching a user’s search query with the best possible result (i.e. : user’s intent). The search engines use over 200 variables in their algorithm to sort their results. So I don’t bore you to death, we can further group these results into 3 buckets, Technical SEO, On-Page SEO, and Off-Page SEO. Technical SEO: Technical SEO looks at your website architecture. It is the building blocks of your website, similar to a home’s foundation and framework. Just like a home, if the foundation and frame work is not built properly you will have problems selling that home until everything is fixed and it passes inspection. Think of the search engines as home inspectors, if your website has problems your rankings will suffer. If your website gets a clean bill of health, you are rewarded. On-Page SEO: On-Page SEO focuses on user experience. Think of it as the layout of a home. If the home flows well, have inviting colors, is clean, nice landscaping and is staged properly it increases your chances significantly of selling that home. Your website works the same way. You want engaging informative content, a clean well organized website, call to action, linked pages, proper structure, blogging, etc… All of this helps the search engines identify you as a quality source, it also increases your chances of a consumer hiring you. Off-Page SEO: Off-Page SEO is the tentacles that connect your website to other 3rd party sites. If you connect to quality sources and your listing information is consistent, the search engines will look at you as a trusted source. All of these factors play a role in how you are found and ranked on the search engines. 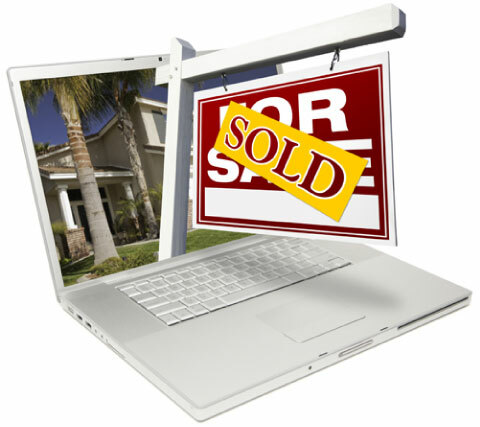 At 4 Elements Agency we specialize in SEO and Web Design for the Real Estate industry. Our model is designed to help small and medium size businesses capture market share. We keep it simple! There is no extravagant show or fancy salesmanship. Our programs are custom designed for you. We use common sense and practicality. So rather than try and sell you, we would rather learn about your business, and model a strategy around your goals and needs. There is no one size fits all approach. Every business is unique and we tailor our approach only to what we know will work for your business. Most importantly, we are local. When you reach out for help, you will be speaking directly with the owners of 4 Elements Agency. If you would like to learn more about our services or speak with us regarding your business goals, please call us at (904) 480-6395.